Yes, I know that slate doesn’t burn. That’s why I wrote ‘fire’. 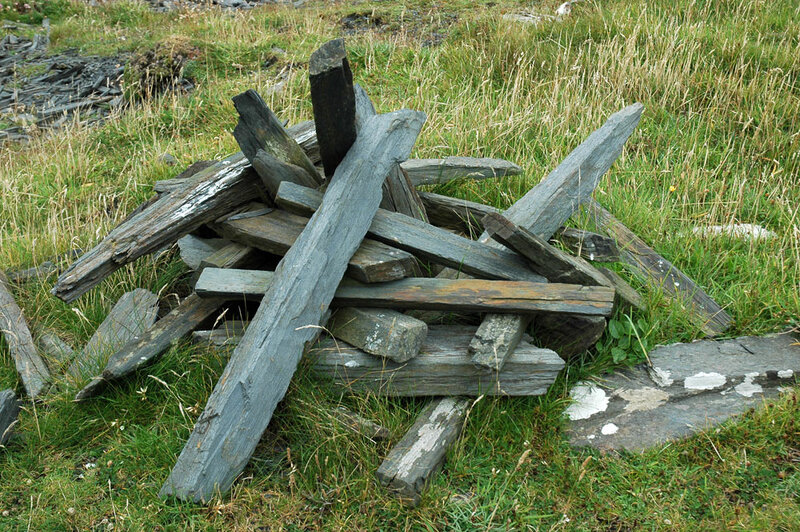 Yet someone had piled these up in a way which made them look to me like a fire ready to be lit. This was at the old slate mine (short lived to my knowledge, as the quality wasn’t good) near Kilchiaran.